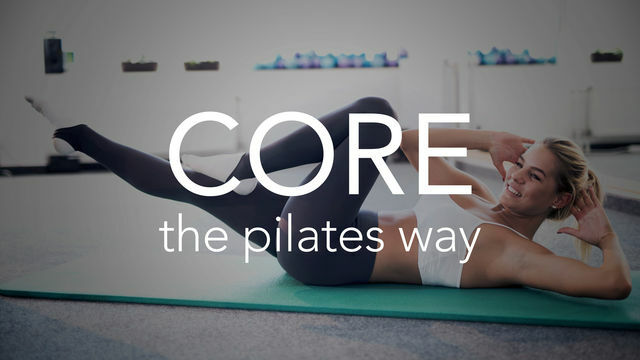 Core the Pilates Way is a program designed to develop all around strength in the torso, from the front to the back and all around the sides. Improving core strength will not only give you that washboard stomach you are after, but it will also strengthen key back muscles that are responsible for preventing low back pain. Pilates style core workouts are so effective, because they strengthen the entire torso in a coordinated way that demands muscular control. This 4 week program is a great addition to your regular exercise routine or done on its own for a focused ab session. Each workout is 15 minutes or less and requires no equipment, making it a perfect at-home workout program.